At last, here's an outfit post! This is another one of my "pullout day" ensemble taken a day before one of our big shoots for Manila Bulletin. ...pambahay and all, with matching fried isaw as pulutan on the side. I love. In other news, I finally got inked! Again. This time it was done by my cousin's "brad" Champ. He trained under Tatay Nero and his shop is located along Aurora Blvd. just 2 blocks away from LRT J.Ruiz station. it means "believe". That's the only word that fits my tiny wrist. my 1st choice was "be the change". Anyway, here's an exciting event coming next weekend! 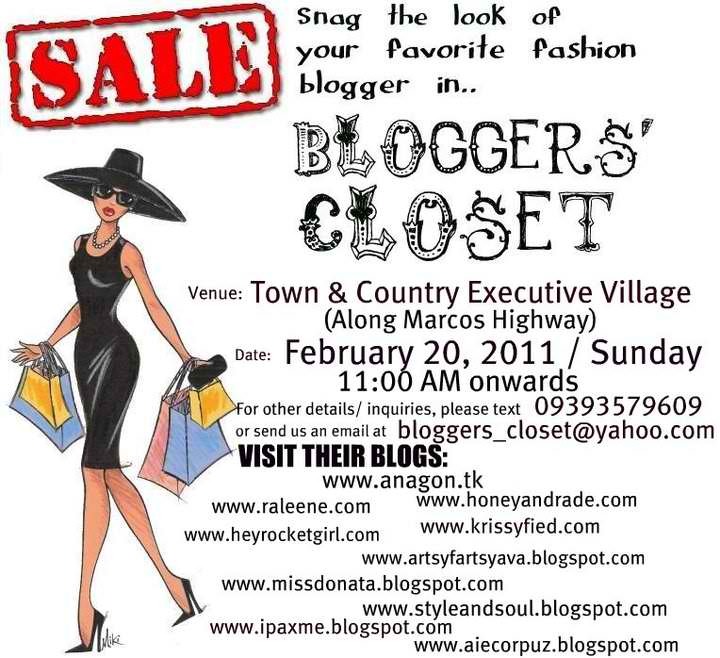 wow, lotsa bloggers joining the garage sale! :) so tempting to come! hope to see you there Jill!!! OMG! Your tattoo rocks, love it! Love the new tatoos. You're so brave! holy ow your tat is wicked! i looooove your tat!!! im thinking of an infinity tattoo. buts its so overrated now ;/ maganda ung believe mo!!! ^_^ maganda din ung be the change. yay! Love the outfit with the booties, teh! And yey for the new tat! Fave ko pa rin yung nasa likod mo! wish i was in manila to shop the bloggers closet. Nice tatt! Is it in arabic?